Posh pies are all the rage in Manchester these days. 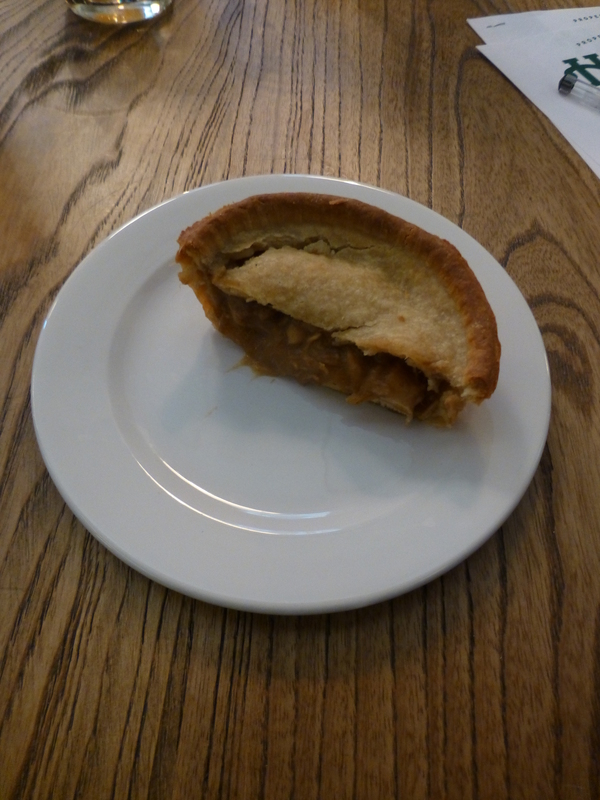 In June 2013, Pieminster opened its first Manchester pie shop on Church Street in the Northern Quarter. 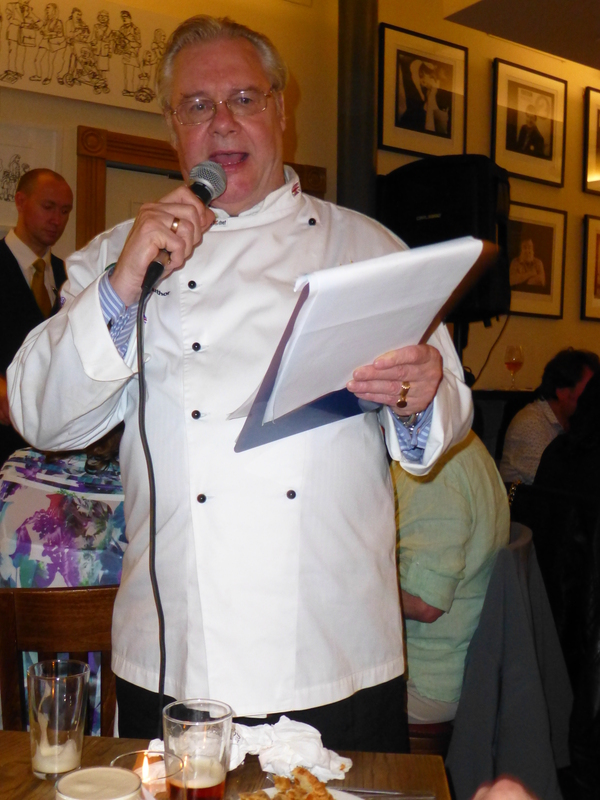 In August, the Bakerie followed suit with the official opening of its Pie & Ale restaurant at the Hive on Lever Street, also in the Northern Quarter. And that’s before we even mention the people who clog up Twitter every Tuesday with declarations of love for Paul Hollywood and his pies on the Great British Bake Off (you know who you are). Even mainstream pie companies are getting in on the act. 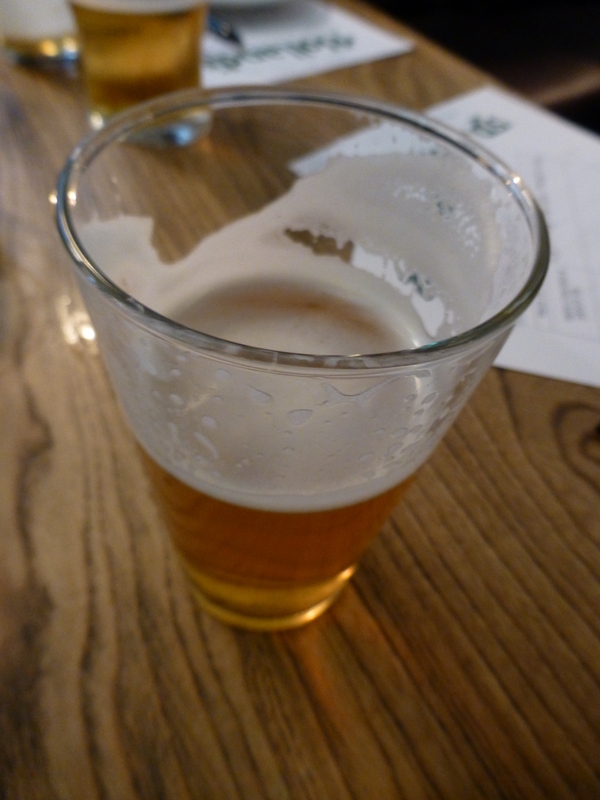 What with this being a Pie and Ale Tasting Event, happily all of the food was paired with specially selected drinks. Each ale was meant to bring out the flavours of the accompanying pie, although to be honest the choices felt a bit random to me. 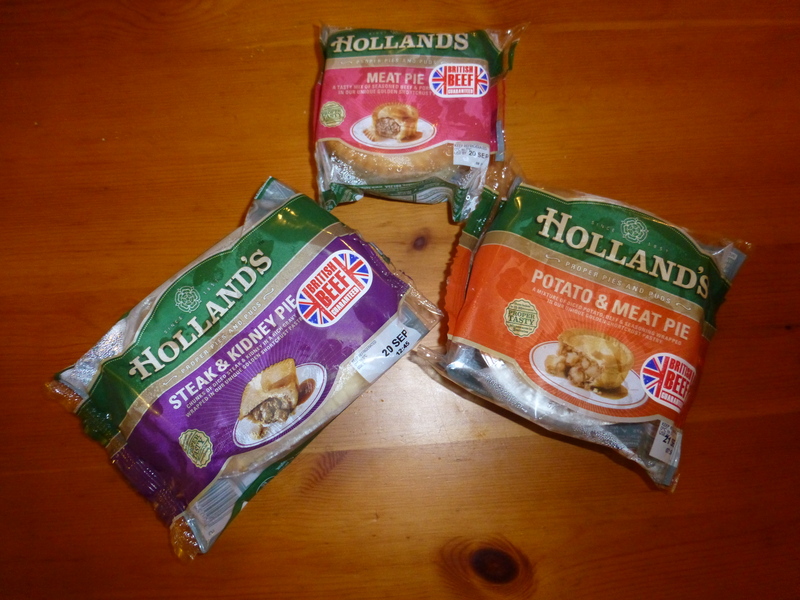 To me then, the best pie was the new Holland’s hunter’s chicken pie, which is so new it doesn’t even come out till next year (what an honour). 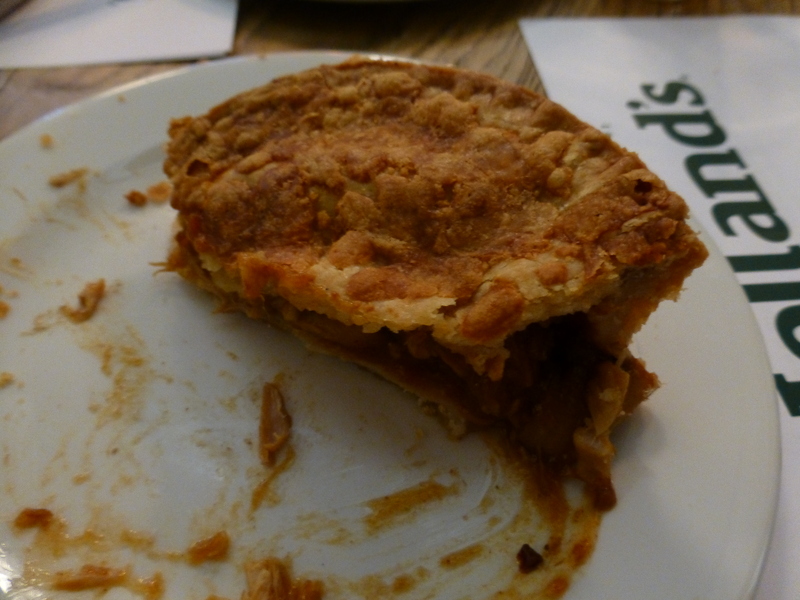 It’s got a super-rich filling of chicken, bacon, pepper, mushrooms and spicy barbeque sauce and they’ve even added cheese to the pastry, so it’s not going to win any awards for healthy eating but it is one hell of a pie and well worth the £1.85 price tag. So where does Holland’s stand in Manchester’s pie charts? 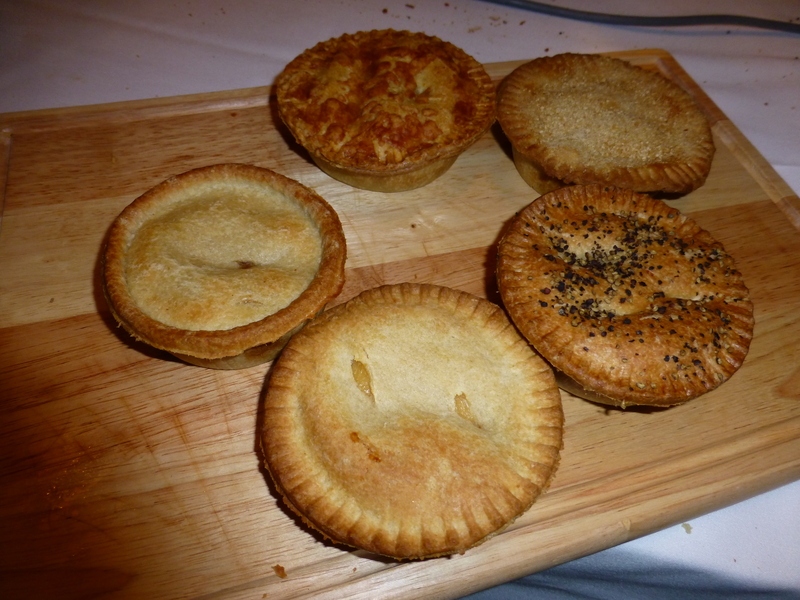 Well I was impressed by the quality of the four new pies on show, although I must admit I really didn’t enjoy the current pair – the potato and meat pie, and the cheese and onion pie, were way too mushy and bland for my taste. Yet taken as a whole, they were much better than the pies I tried at the launch of the posh Pie & Ale restaurant, which really surprised me. They still weren’t quite as good as Pieminister (although I’ve not been to the Pieminister shop, the Pieminister pies at Pi in Chorlton are delicious). I’ve also heard good things from fellow Chorltonite Gill Moore about Great North Pie Co, which I’m told you can buy at Out of the Blue fishmongers in Chorlton, although I’ve yet to put those to the test. For now, though, I’d say Holland’s is more than pulling its weight when it comes to giving pies a bit of good PR in Manchester. They may not be posh enough for Paul Hollywood, but these humble pies hit the spot for me.